Tap Backnut Spanner 1 1/4"
Fits most brass and nylon back nuts. 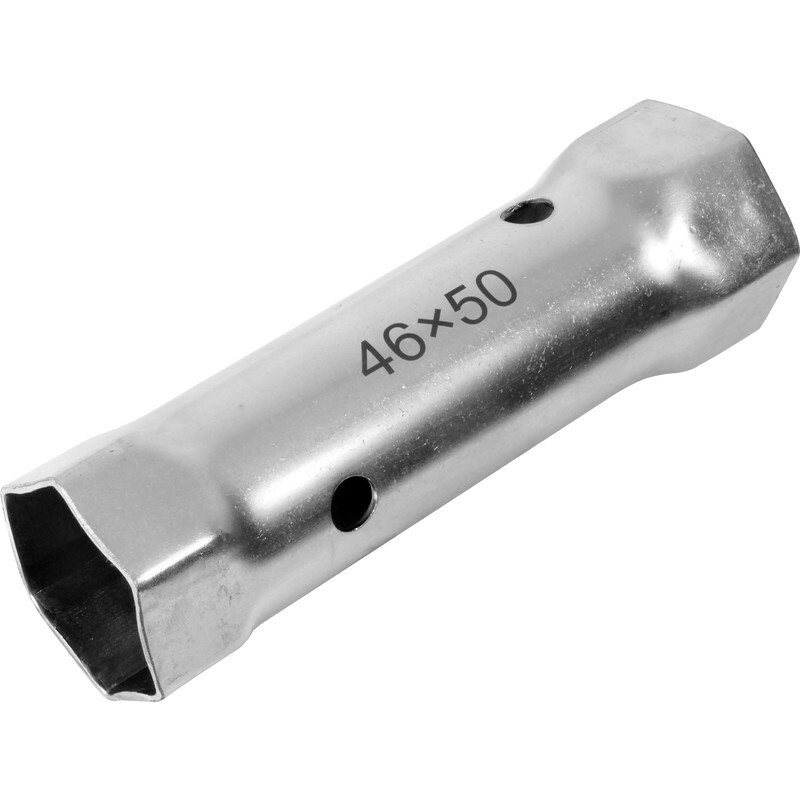 Tap Backnut Spanner 1 1/4" is rated 4.2 out of 5 by 16. Rated 5 out of 5 by michaeli from great tool glad i purchased this item been a godsend . no more struggling under the basins. Rated 4 out of 5 by Wilse from Spanner that removed backnuts Picked one of these up today as the telescopic spanner i had was too awkward to get a cross threaded nut off bath taps (yes, the furthest one away) No bar supplied with this, which is a bit poor really, but improvised and this tool mated snug with the brass nut and with some profanity and aching wrist, the offending nut came away. Used much easier on 1/2 in plasric nuts on basin taps so can confirm this tool is as described. Rated 5 out of 5 by Redneck from Good quality Bought this to remove and replace the waste on my bathroom basin. The metric nut came off easily with this tool just what the doctor ordered. However the replacement waste had an imperial nut !!! This nut being 2 1/ 4 af was just oversize so proving the spanner was correct to size. Judicious use of a file soon had the offending nut to metric proportions and everything reassembled. Great spanner for tight locations. Rated 5 out of 5 by mudhut from Perfect Far and away the best tool for the job provided it's length does not cause an obstruction on nearby plumbing. Fits brass and plastic back nuts of course and more securely so than the spring-loaded adjustable type (also reviewed). Not supplied with tommy bar but this isn't necessary anyway: a good grip provides sufficient torque to do up the back nut. Forget the blue-painted spanner monstrosity also available; only get the adjustable type if you don't think this will go into the space available. For reference, the box spanner and the adjustable type are about the same length, the box spanner being marginally shorter. Seems quite expensive for a simple, lightly loaded box spanner though. Rated 5 out of 5 by Martin999 from Great Tool I bought this to change the bathroom Tap and with this spanner was job done in no time.